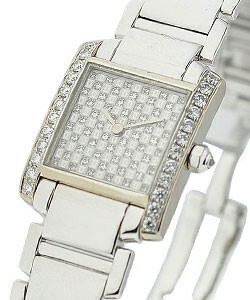 This watch is also known as: ModelWE1002SF , EXPO14751 , MG307391 . 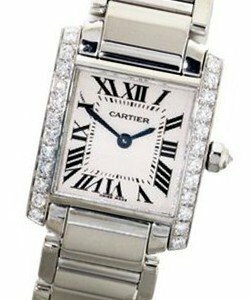 This semi-tonneau shape bezel, Cartier Tank Francaise - SMALL SIZE Model # WE1002SF is powered by a Precision Swiss Quartz movement mechanism. 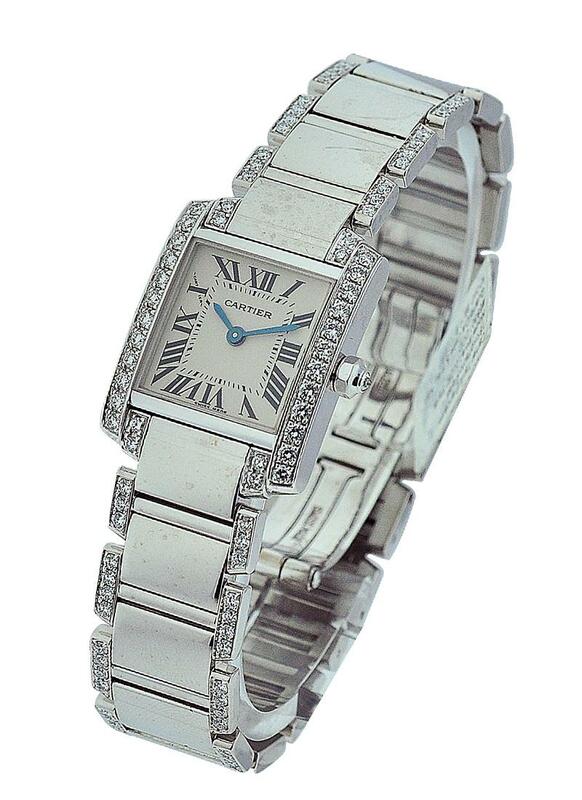 Encased in an 18Kt White Gold encasement, this Cartier Tank Francaise - SMALL SIZE Model # WE1002SF has a case dimension of 20.5mm in width by 23.5mm in length. 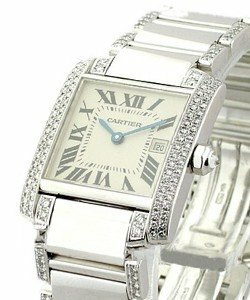 Sporting an immaculate white face dial with embedded black Roman numerals as hour markers, this Cartier Tank Francaise - SMALL SIZE Model # WE1002SF is supported by a Sapphire Crystal protection case front. 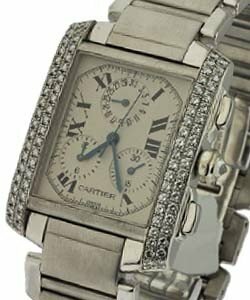 Attached to an 18Kt White gold bracelet, this elegant watch showcases an outer diamond link and is secured by a conventional clasp. With a water resistance at 100 meters, this precious watch is considered as one of the most sophisticated timepiece by Cartier Tank Collection.